At a glance, Dover may only appear to be a quiet town, nestled in the rolling foothills of the Appalachians. While that is true, and it’s one of our favorite things about our city, we also serve as an excellent jumping point to Ohio’s greatest adventures. There are many golf courses located in and around our city. The Tuscarawas River offers adventurous canoe rides and great fishing. 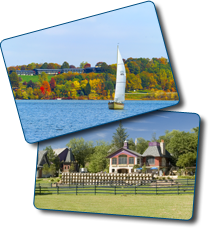 Dover also serves as a gateway into the heart of Amish country and is centrally located within two hours of Cleveland, Columbus Youngstown and Pittsburgh. The Professional Football Hall of Fame at Canton, Ohio, is located about 20 minutes away. The city is the host of many museums, shops and points of interests. Our rich history alone makes Dover a great, safe place for travelers of all ages. We hope that you stop by and enjoy our city. We are so happy to call Dover our home and we would love to have you come by for a visit. Visit the Tuscarawas County Convention & Visitor's Bureau web site for more information about living and doing doing business here.